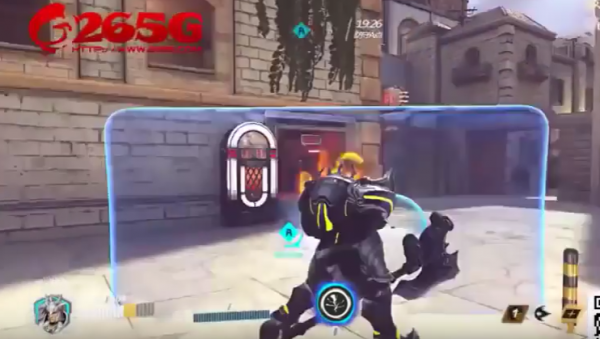 This thing is a Chinese Overwatch, not made by Blizzard, and not called Overwatch. Parts of Overwatch‘s unique visual style and character were bound to find their way into other games, as inspiration. Except when developers cross that line into infringement territory, blatantly using Blizzard’s assets, designs, and maps, and calling it something else. A Chinese-developed game called Legend of Titan (good play?) has done just that, to the point you might mistake it for the real thing – a low-res version of it at any rate. Heroes didn’t just carry over in design, but in function as well. Widowmaker is a sniper, Reinhardt has a shield, Reaper teleports around, even Tracer’s trademark sass carried over. The UI, too, is the same. Ultimate abilities? Those can be found here as well. Watch the results of carbon copying below, but be quick, Activision is taking down videos of this as soon as they appear.